Unique South American design on this HuB sweater. It has a full length zip and a pixie hood. 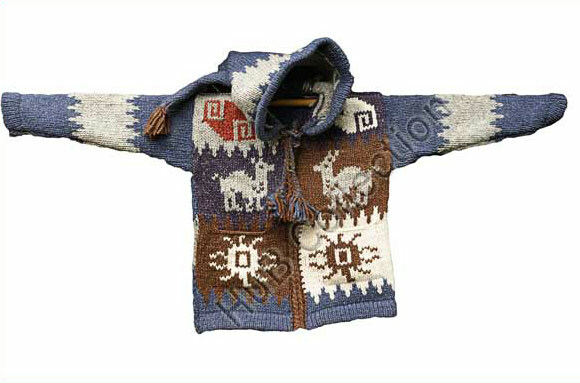 Handcrafted from 50% cotton and 50% wool it is soft yet practical. Hand wash in cold water or dry clean. Suitable for boys.